The world's most talked-about celebration of Motorsports and car culture wrapped up its 25th anniversary this weekend in West Sussex, England. Those in attendance (both in-person and online) were treated to a variety of racecars, hypercars, classic cars, historic planes, motorcycles, driverless cars, electric cars, and many others of the like in a gathering that could not, and isn't put on anywhere else in the world. 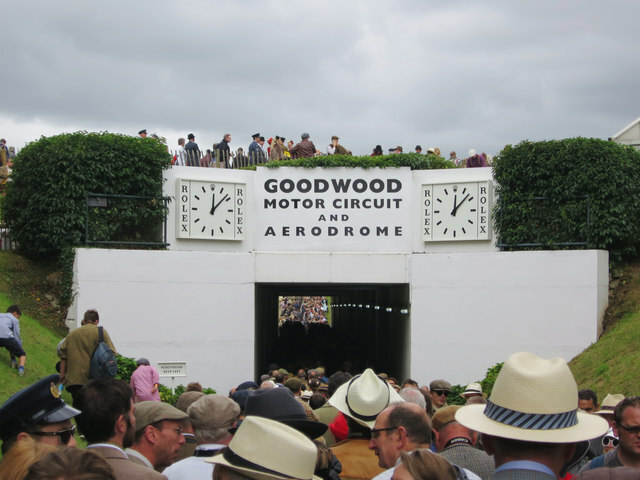 The Goodwood festival is regarded by many as a "bucket list" item, and a few CTech products were lucky enough to make it to the historic festival grounds thanks to a couple well-known figures in the sport. Steve 'Baggsy' Biagioni put on one of the more exciting shows during the entire festival, running his Nissan GTR drifting machine up the hill. 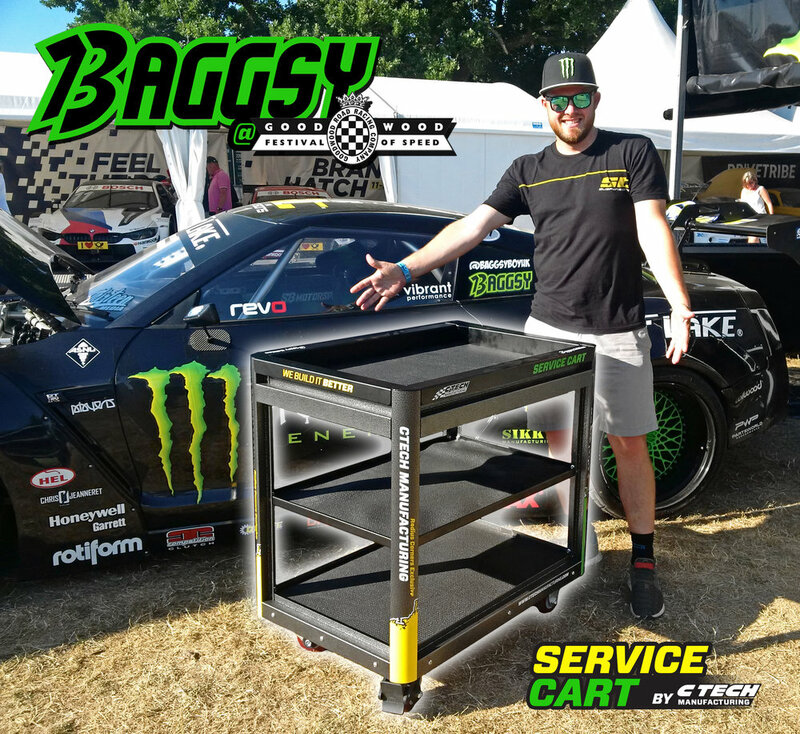 Baggsy is a popular (and extremely talented) drifting competitor from England, and he recently received a new Service Cart from CTech. If he sounds familiar to you, that's because he was featured on the hit Amazon show "Top Gear" in an episode where he was tasked with teaching Richard Hammond how to drift! A CTech Mini Cart could also be found under the Winston Cup Museum tent, who were running an array of historic NASCAR/Winston Cup stock cars in the hillclimb. One of them being the Interstate Battery Chevy Monte Carlo piloted by Bobby Labonte in the 1993 Winston Cup series. The racecars themselves were supplied by JKS Incorporated, a respected marketing firm based in the U.S.